The SHOTOVER F1 is the latest in the new class of medium-sized stabilized platforms. Delivering all of the leading performance and stability of the K1 system, the F1 is a substantially smaller system that is therefore lighter and has a quicker installation time. The F1 is perfect for productions that may not need every lens and camera combination but still demand the best performance available. The SHOTOVER F1 is a 6-axis gyro stabilized platform that delivers unshakable stability with look down capability for use inverted, or right side up—on almost anything that moves. It rigs fast and accommodates over 150 camera and lens combinations, for the look you want. Its compact carbon fiber construction means it ships as excess baggage on commercial flights worldwide with no export restrictions. We can transport the entire system as excess baggage, making it perfect for quick turnarounds and remote locations. 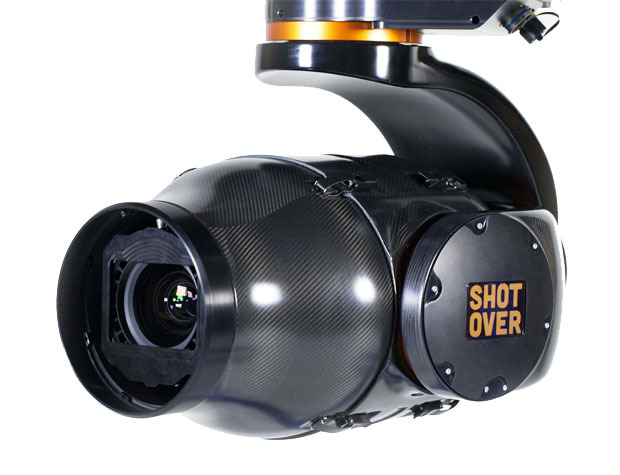 The Shotover F1 is compatible with a wide range of cameras and lenses. Lenses: Canon 30-300mm, Angenieux HR 25-250mm, Arri/Fujinon Alura 45-250, Angenieux 30-72 ANAMORPHIC, Angenieux Optimo 28-76mm, Angenieux DP 25-250mm and many more.